Multi-channel pipettes are perfect for powering through large sets of pipetting, but easily aspirating the solution can be difficult without a reagent or solution reservoir. 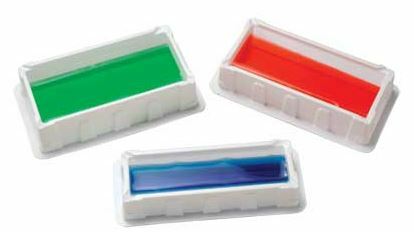 Designed to reduce in reagent waste, many reagent reservoirs come with a ‘V’ shaped bottom and spouts at the corner to help pour the solution out when finished. Sturdy and disposable, most solution reservoirs are made of polystyrene and come in size ranges of 10 mL to 100 mL. Nest Scientific Robotic Reagent Reservoirs are polypropylene reservoirs that are designed for use with automated and robotic systems. These Nest Scientific Robotic solution reservoirs are designed for use with multiple pipette channel numbers, layouts and volumes. Nest Scientific Robotic solution reservoirs are available in troughs of the following sizes; 8-channel troughs, 12-channel troughs, 96-channel troughs and 384-channel troughs. Varied trough volume ranges are also available, and these Nest Scientific Robotic solution reservoirs can be purchased in either sterile, certified RNase, DNase and pyrogen free or non-sterile condition to meet the needs of various laboratory applications and requirements. Sturdy disposable solution reservoirs that have been designed with trimmed base corners, deeper pour-off spouts for spill-free emptying, and a deeper, narrower “trough within a trough” to maximize reagent recovery. Available in 10 mL to 100 mL sizes. 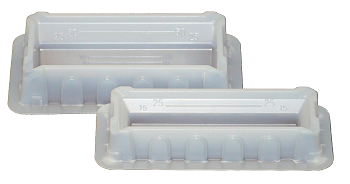 10mL polystyrene reservoirs are perfect for PCR and other low volume applications. 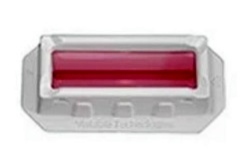 VistaLab sturdy disposable reagent reservoirs are made from Polystyrene and have been designed with trimmed base corners, deeper pour-off spouts for spill-free emptying, and a deeper, narrower “trough within a trough” to maximize reagent recovery. The innovative CappOrigami reagent reservoirs are created to minimize reagent waste and save valuable storage space. Made from durable polypropylene, CappOrigami reagent reservoir is designed to be shipped and stored as flat sheets. Our redesigned reservoirs are improved in every way with thicker walls, crush-resistant “turrets” at the corners, improved pour spouts, 25 mL graduation marks, and tabs to prevent stacked reservoirs from sticking together. Heathrow's Deal Solution Reservoir is a polypropylene solution basin/reagent reservoir that has a standard 50 mL basin on one side and 12 individual 5 mL basins on the other side. 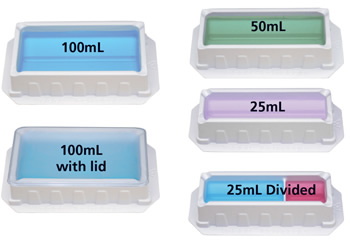 Sturdy acrylic dispenser accommodates 100 and 55ml reservoirs.